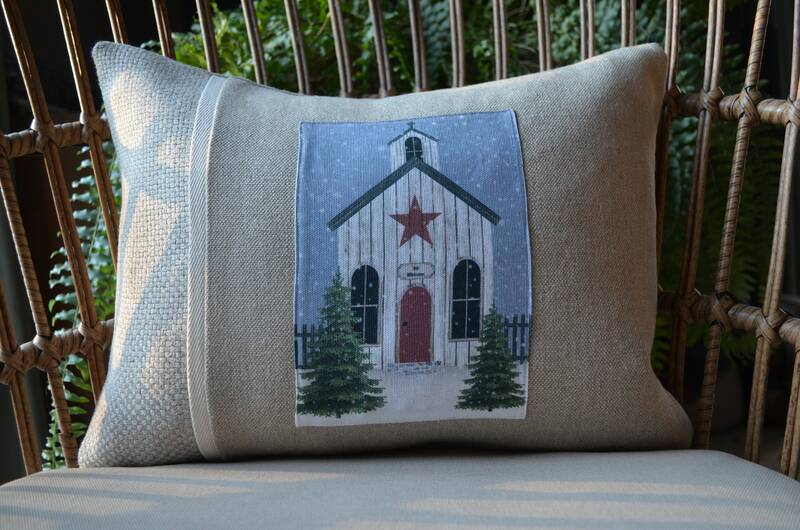 A little Folk Art Church pillow for the holidays! The pillow is shown in the two tone option. The image is so peaceful and reminds me of many of the buildings you see here in New England and in other parts of the US. The image design is by CreatifBelle here on Etsy. 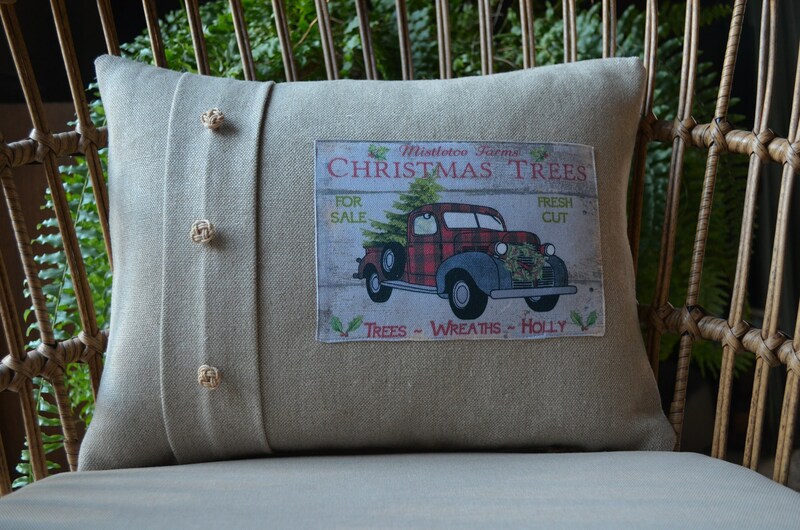 The pillow is made from 100% Belgian linen. All pillows are closed at the bottom with a zipper and include a 95/5 feather and down insert. The measurements are 12 inches high by 16 inches long. 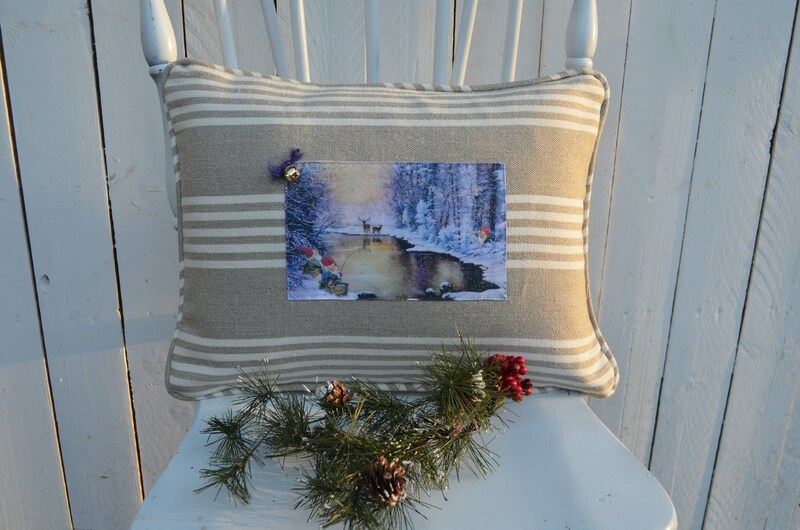 The pillow is available in 3 styles, small pleated with either jingle bells or hand tied rope buttons, small stripe or small 2 tone. 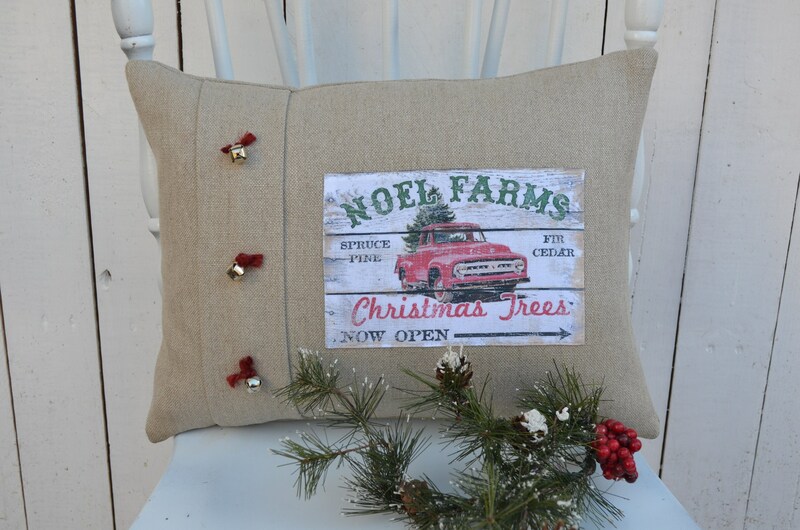 All pillows are made to order, please allow 1-2 weeks for delivery depending on your location.